Kaissa was a chess program developed in the USSR in the 1960s. In 1972, it was named Kaissa by the Soviet journalist A. Khenkin, after the muse of chess Caissa, invented by Sir William Jones in 1763. 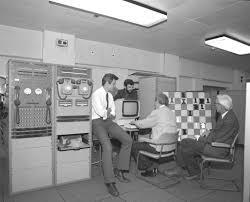 Kaissa dominated international computer chess from 1974 to 1977. Kaissa made use of a pruning technique called “the method of analogies,” meaning positions that were so alike that the same score could be attributed to all. Kaissa was revolutionary in its use of analogous positions and tree searching methods for reductions of computational load. Kaissa was a Shannon type A program that search 7 ply full width, with extensions for captures, checks, and forcing moves. The program employed the alpha-beta technique with a “window.” The program introduced a feature called “best move service,” storing a table of the 10 best moves. This was used to improve move ordering for the alpha-beta method. Another feature was a “dummy move,” in which one side does nothing at its turn and used to discover threats. Kaissa was never improved because the Soviet government decided that the programmer’s time was better spent working on practical projects. The chess group transferred to a different institute where they worked on database programming and developed the Russian equivalent of Oracle (relational database).